Who Is Affected By IBS? 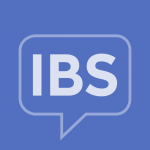 IBS Symptom Management: Eat This, Not That! Good news - you're already subscribed! Need help? Let us know at contact@IrritableBowelSyndrome.net. Something's not right... Try again or let us know at contact@IrritableBowelSyndrome.net.